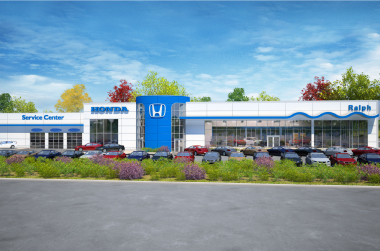 Exciting Spring at Ralph Honda! • Our substantial increase to both Inventory and Customer Parking, with new lighting, a freshly paved lot, and beautiful landscaping! • A new Drive-in Service Area that is over double the size, so you can just conveniently pull inside and meet your service adviser! • An expanded Service Shop with increased capacity and state-of-the-art equipment like a new car wash, diagnostic tools and more! • Brand new Express Service Bays (also with new equipment)! • A much larger Service Lounge and Info Center (child-friendly)! • A beautiful new showroom for your shopping pleasure! Check back for updates on our progress throughout our Exciting Spring, and get ready for our launch of an Explosive Summer! Join a Winning Team at Ralph Honda! New positions are posted for Sales Consultant, Service Advisor, and Hourly Service Tech. Please see our Careers web page for position details and to apply online. So, come join our Exciting Spring at Ralph Honda! As stated on “The All-New 2016 Civic Sedan Reveal” video released by Honda at https://www.youtube.com/watch?v=d_3zojQ5Mlk. 0.9% APR for 24-36 months or 1.9% APR for 37-60 months. 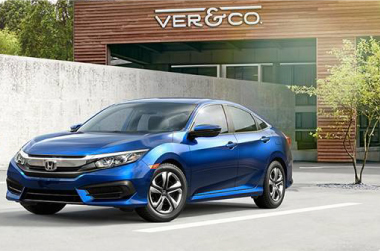 For well qualified buyers and buyers that qualify for the Honda Graduate Program criteria.Special APR offer valid on new and unregistered 2016 Accord Sedan Models from March 1, 2016 through April 4, 2016, to well qualified buyers on approved credit by Honda Financial Services through participating dealers. Must take new retail delivery on vehicle from dealer stock by April 4, 2016. Not all buyers may qualify. Higher rates apply for buyers with lower credit ratings. Example for 2016 Accord : 0.9% for 36 months financing at $28.16 a month for every $1,000.00 financed. Dealers set actual prices. See your Honda dealer for details.